On 28 and 29 July 2010, the Supreme Court will hear an appeal in the case of Global Process Systems Inc and another (Respondents) v Syarikat Takaful Malaysia Berhad (Appellant). This is a case concerning the correct interpretation of “inherent vice” under s.55 Marine Insurance Act 1906. A key principle in the law of marine insurance is that an insurer is not liable for loss caused by inherent vice unless the insurance policy provides otherwise. Accordingly, it is typically excluded from cover under “all-risks” policies of cargo insurance. In this case, the Supreme Court will decide whether the cause of damage to an oil rig was inherent vice (which would not be covered by the relevant marine insurance policy) or a “peril of the sea” (in which case it would be). In particular, the Court will assess whether the correct test is “was the cause of damage an inability to withstand wind and wave which, it would be the common understanding, would be bound to occur as the ordinary incidents of any normal voyage of the kind being undertaken?“. If the Court decides this is the correct test to be applied, the definition of inherent vice may be narrowed considerably in certain circumstances. The case will be heard by a five-strong bench consisting of Lords Saville, Mance, Collins and Clarke and Sir John Dyson. The Appellant is a marine insurer. The Respondents purchased an oil rig in May 2005 with the intention to ship it from Texas to Lumut on the East Coast of Malaysia via the Cape of Good Hope and convert it into a mobile offshore production unit. 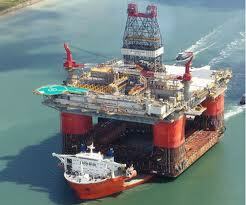 The rig was carried on a barge with its legs extending 300ft into the air. This carried a risk of metal fatigue from the motion of the sea. Despite the fact that some fatigue analysis had taken place, and a certificate of approval for shipping had been issued, the legs suffered fatigue on the first part of the journey. After a stop for repairs at Saldanha Bay (North West of Cape Town), the journey resumed. 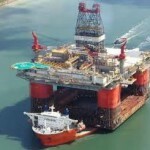 However, over the course of 4 and 5 November 2005, in the North of Durban (and having been carried through rough waters around the Cape) three of the legs of the rig succumbed to the fatigue and broke off and fell into the sea. The Respondents’ insurance was stated to cover “all risks of loss or damage” except that “caused by inherent vice or nature of the subject matter covered”. A dispute developed as the Appellant claimed the loss of the legs was due to inherent vice, and the Respondent submitted that the immediate cause of loss was a leg-breaking wave (a “peril of the sea”). On 31 March 2009, Mr Justice Blair held at first instance in the Commercial Court that the Respondents could not claim under the insurance policy. Following the test set out by Mr Justice Moore-Bick in Mayban General Assurance BHD v Alstom Power Plants Ltd (2004) EWHC 1038 (Comm), Mr Justice Blair decided that the “proximate cause” of the loss of the legs was that they were unable to withstand the normal incidents of the insured voyage, including weather that was “reasonably to be expected”. Consequently the loss fell within the inherent vice exclusion and was not covered by the policy. However it is notable that expert evidence given at the trial suggested that a developed crack alone would not be sufficient to cause a leg to break off, rather, a “leg-breaking? or “final straw” stress was also be required to cause the final fracture. The Court of Appeal unanimously overturned Commercial Court’s decision. Waller LJ held that “a leg breaking wave, not bound to occur in the way it did on any normal voyage round the Cape of Good Hope, caused the starboard leg to break off” which in turn led to the other legs “being at greater risk and then breaking off”. He added that although it transpired this incident was highly probable, that “high probability was unknown to the (Respondents) and that was a risk against which the (Respondents) insured”. Inherent vice was, therefore, not the sole proximate cause of the loss of the legs and the inherent vice exclusion did not apply. The Court of Appeal judgment narrowed the test for inherent vice and broadened the range of events which may be considered fortuitous external accidents. Accordingly the current position as a result of the Court of Appeal decision is that inherent vice will not be deemed the sole proximate cause of a loss simply because the other external events experienced were “reasonably to be expected”. Rather, it is only in cases where the external events encountered was “bound to occur” that it can be said that inherent vice is the sole and proximate cause of the loss. It remains to be seen whether the Supreme Court will uphold the narrower test that has now been applied by the Court of Appeal, or whether it will restore the wider test set out in Mayban. If it does decide to uphold the narrower, Court of Appeal decision, this could have considerable consequences for marine insurers who may find themselves exposed to significantly more liability than was previously the case. Leave a reply on "Case Preview: Global Process Systems Inc and another (Respondents) v Syarikat Takaful Malaysia Berhad (Appellant)"